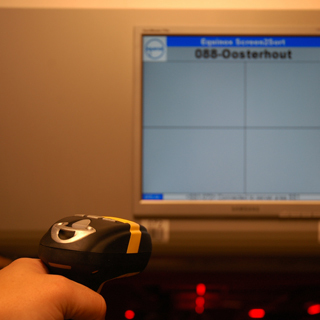 With the guidance of our manual sorting systems, operators can sort SKUs quickly and accurately.  Thanks to our extensive experience designing and implementing these systems, we can find the optimal solution for your specific needs. In close cooperation with our customers, our specialized associates engineer the ultimate solution to achieve your goals. 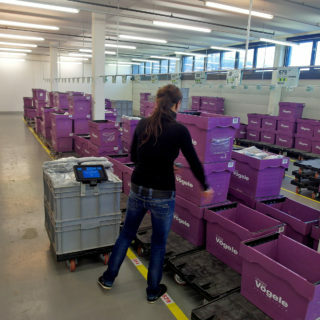 Sorters (or sorting systems) are used to sort items in warehouses or distribution centers based on their destinations. Sorting parameters depend on the type of company or logistic process. Read more about sorters. Put-to-light cabinets use lights and displays to guide operators through the sorting process. Put-to-light frames offer the same functionality as the LED put-to-light cabinets, but offer more flexibility. 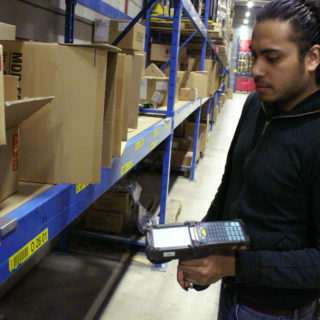 Scan2sort is an RF-guided manual sorting system. Mobile radio frequency terminals direct users during the process. 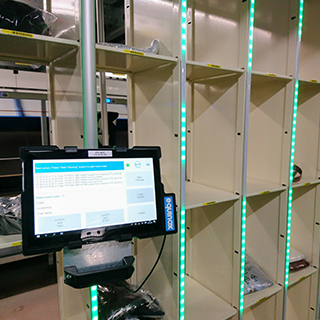 Combining the flexibility of Scan2sort and the ergonomics of Screen2sort, Touch2sort uses touchscreens and wireless scanners to guide the operator. 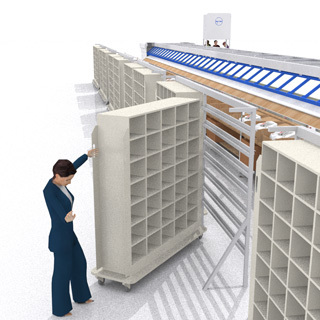 Screen2sort is a computer aided manual sorting system that offers all the logistics planning benefits of an automated sorting system, such as carton content and waves.